Hello there! 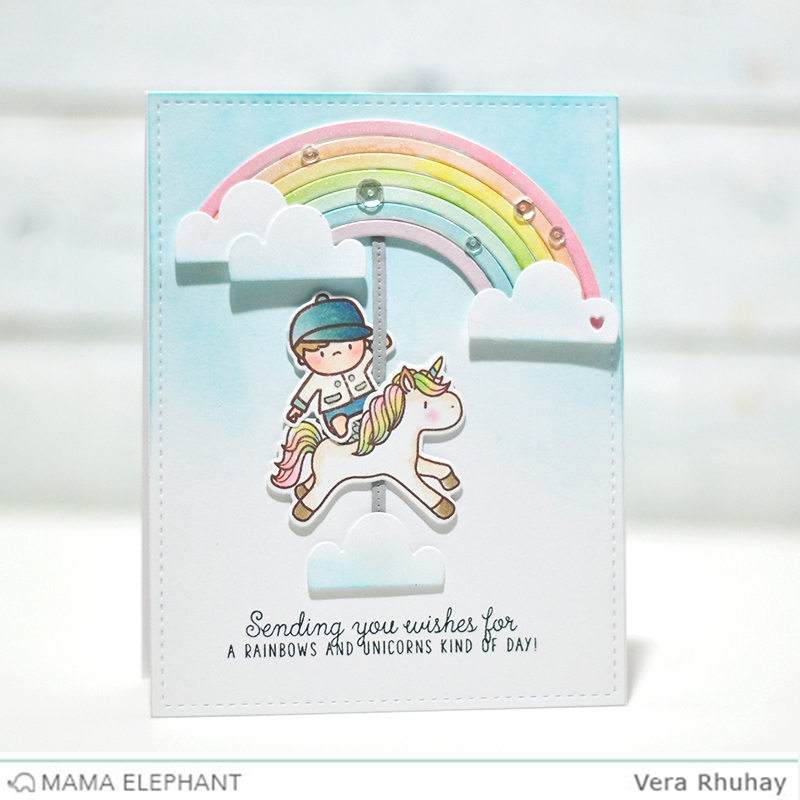 It's Vera here :) Today, I'm sharing my cards featuring the new Unicorns and Rainbows stamp set along with the Rainbow High creative cuts. Here, I combined the Unicorns and Rainbows with the boy from Carried Away. 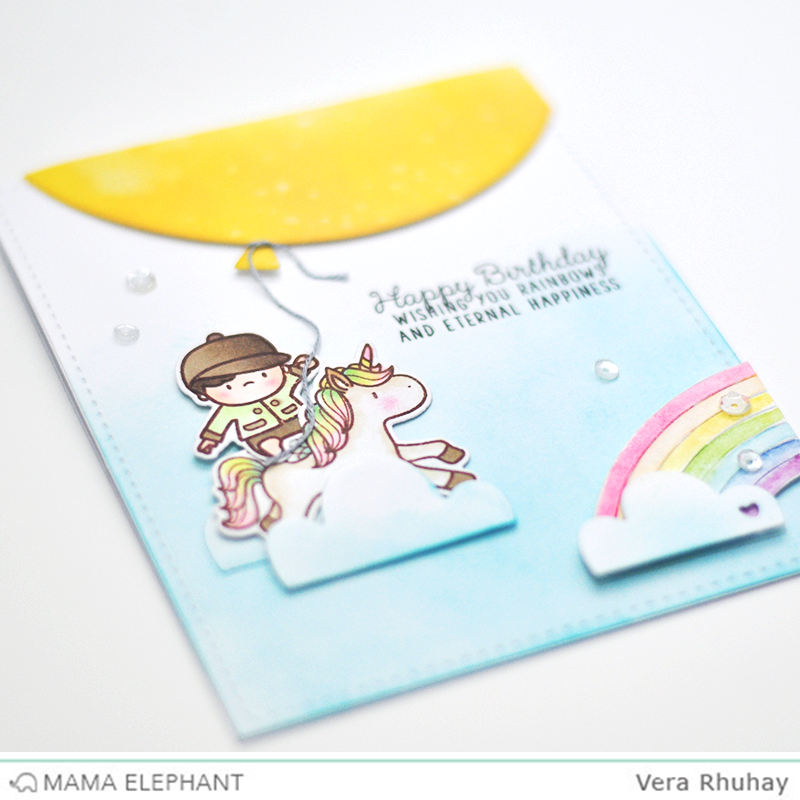 Seriously, this takes me back to my childhood memories ♥♥♥ For my second card, I used the big balloon dies from Rainbow and High, and created a scene the little boy holding balloon and fly away with his friend unicorn :) I colored all images with Copics except the rainbows, I colored it with watercolors. Amaaaaazinnnnngggg!! I am in love! 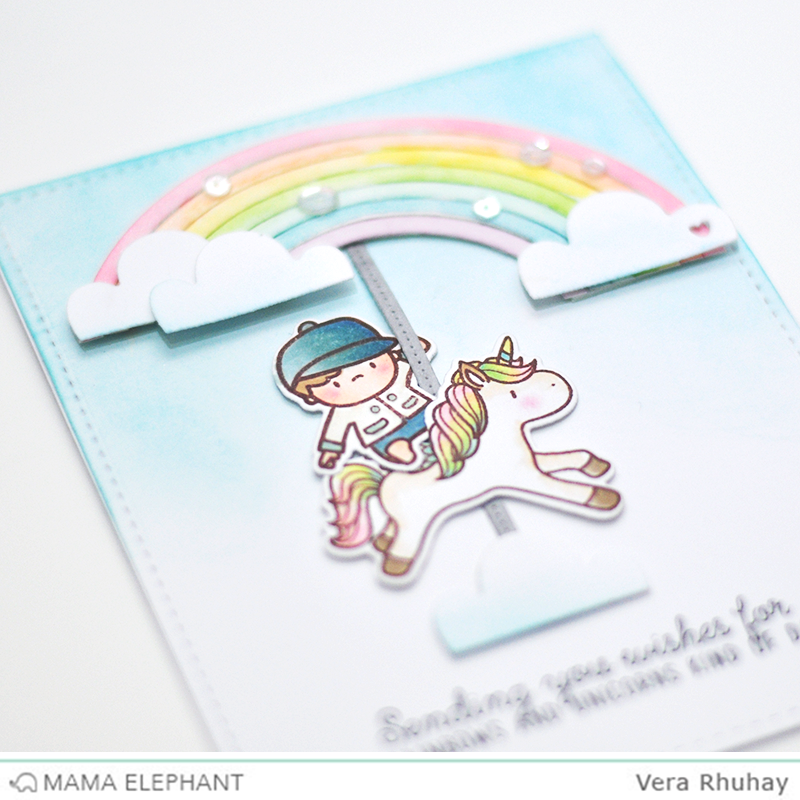 !Thanks Vera and ME for the super sweet stamps! Oh my gosh, the colors are beautiful! I am in love with both cards. Thanks for showing us what you did. 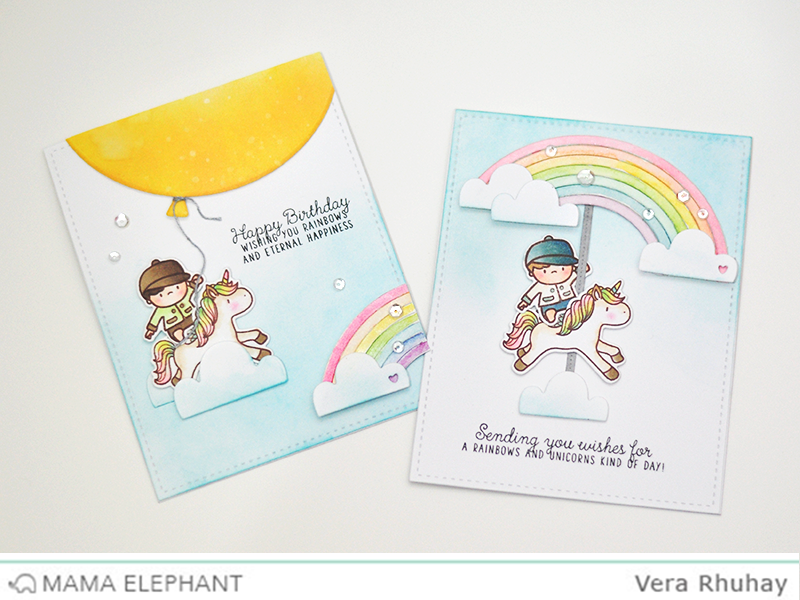 Both of these cards are just so sweet! WOW! both of them aare sooo beautiful! 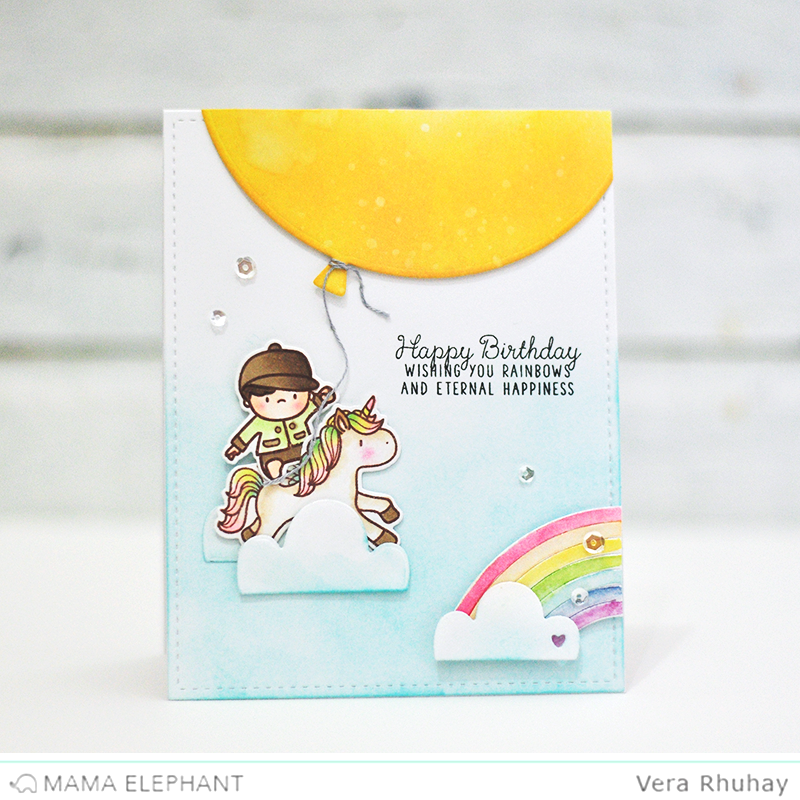 I adore carousel!